delicious pie is ever more delicious when made with fresh fruit. direct from the farms. yum. 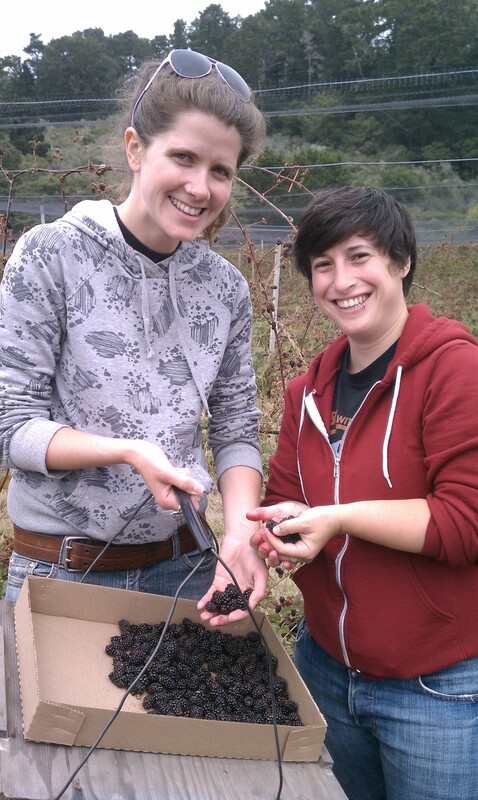 so a few weeks ago, a small group of us traveled 1 1/2 hours south to swanton berry farms to pick olallieberries. as i might of mentioned before, olallieberries are the most perfect pie berry – so tart and yet so sweet. 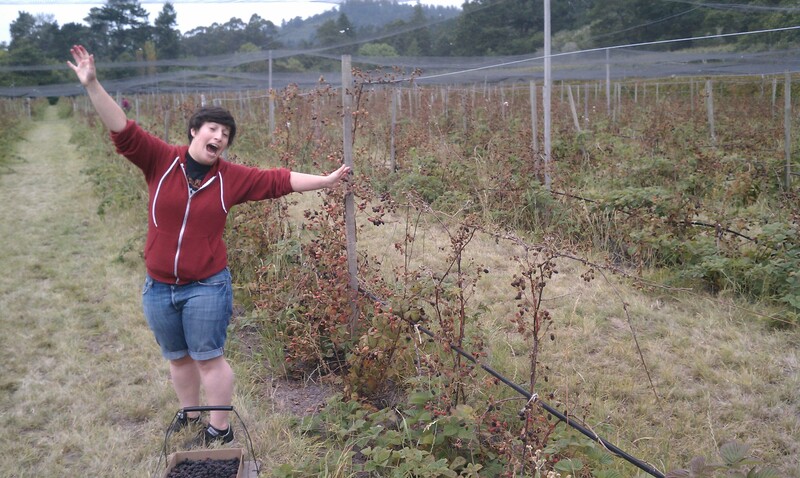 i have gone to phipps ranch to pick berries for many years, but they were all cleaned out by the time we wanted to go. the olallieberry season is a short one, which, with fantastical name like olallieberry, doesn’t help demystify this elusive berry. …i have officially entered mission pie’s 5th annual pie baking contest and will be making my traditional olallieberry pie! so come join us! sunday, august 28th at mission pie (corner of 25th street and mission) from 2:30-4:30. taste 25 pies for free and cheer me on! 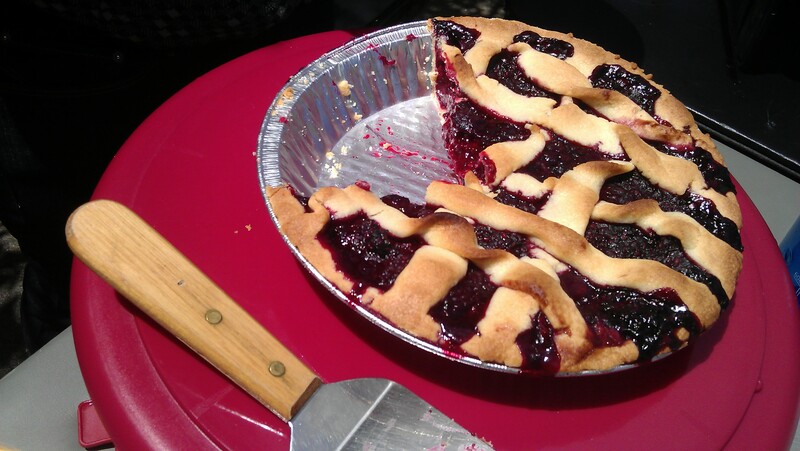 i’ll make a pie just like this one…doesn’t it look good?! rubetta!!!! I heart YOU and ollalieberries!!!! I will be rooting for you from LA!!! !